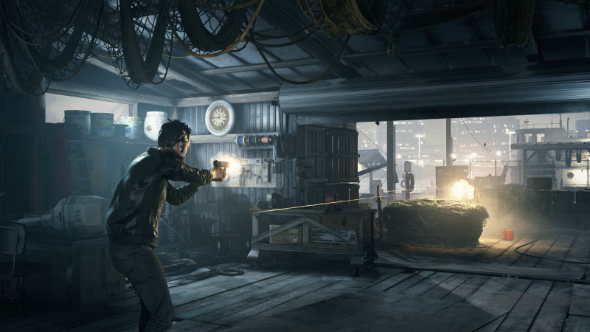 Besides the fresh screenshots of the upcoming project, which we shared with you yesterday in our Facebook community, Remedy Entertainment company announced not very pleasant news for those, who anticipate the action’s release. According to the studio’s representatives, the Quantum Break release date for Xbox One is postponed for 2015. In the published Quantum Break video Lake has also explained, how the project will be linked with the TV show, which is planned to be launched together with the action. "The game is about heroes, the show is about villains. In the game you play Jack Choice in a desperate fight to stop the fracture, that threatens to cause the end of time. In the show, in the style of a modern TV series you follow the schemes and power play inside Monarch – the corporation that’s Jack’s main enemy", - Sam has said. And finally, the latest Quantum Break video teases some short episodes of the gameplay, the full version of which we’ll see only in August. So, are you upset about the new Quantum Break release date? Did you like the trailer?